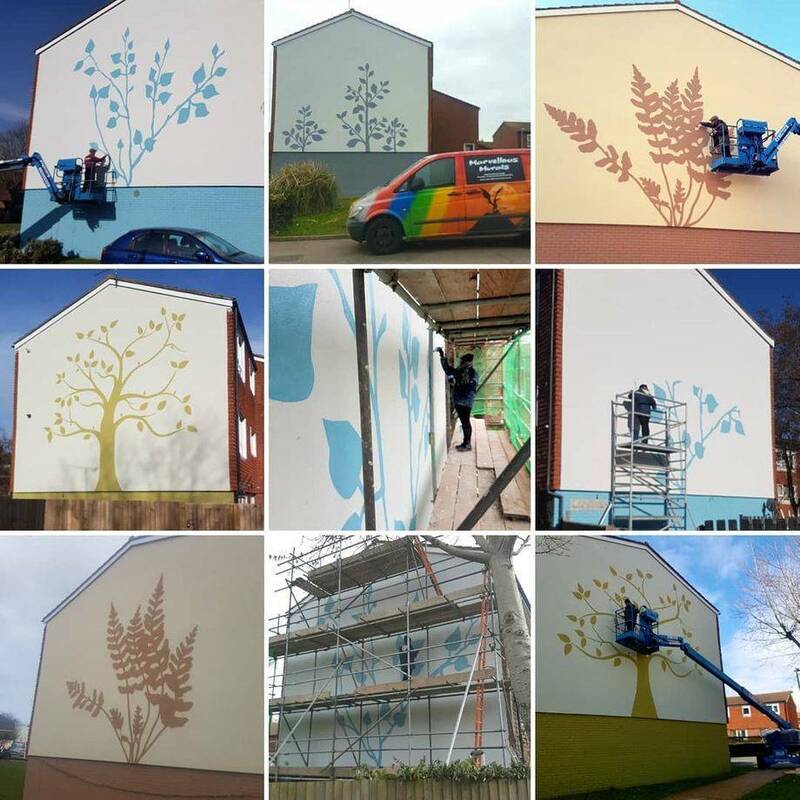 For this big project we painted 17 gable ends in the Willingdons Trees Residential Estate in Eastbourne. There were 4 different designs repeated onto the walls. This project was completed using a mixture of scaffolding, scaffold towed and boom lift. We had to postpone the project initially due to bad weather, but once we were started we managed to get this all completed in 3 weeks, so were still completed before deadline.